Next week, April 22nd through Friday, April 26th. NO SCHOOL We will see you on the 29th for regular schedule Late Start Monday. Enjoy your family time. NO SCHOOL April 22nd - April 24th, but there will be a Camp available through Nipomo Recreation. Click on link to view dates and programs. Registration for 2019-20 School year is coming soon. Register online and once complete, you can make an appointment for Kindergarten Roundup. 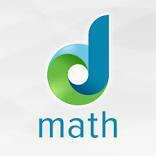 This is your doorway to using the math teaching tool for your iPad or android tablet, Mac or Windows computer. If your student is absent or will be absent, please make sure to inform the school about reason for absences. If you have informed the teacher, please also cc the office, or call 805-474-3670. Thank you for your help. Click on link to submit absence e/mail. Sign up for Buddy's Garden - Form attached- You can print and turn into office upon completion. Every school year you must log into your homelink account to update your student(s) information. This takes place of filling out the Emergency Contact Cards we used to have you fill out. If you have forgotten your password, click on "Forgot password" and you will be sent an e/mail to change it. Call office at 805-474-3670 if you have any questions. Supply lists are only a recommendation of items for parents to purchase. The school provides the needed items for students. Please follow this link to the District page where it will walk you through the entire process. You can turn in paperwork to office Monday - Friday between 8am and 4pm. Want to Volunteer at School? Volunteers are vital to our students' success. We need YOU!!! Click on link to make an appointment for your fingerprints. If you would like to attend a field trip or help out regularly in classroom you must be fingerprinted and provide copy of a current TB test. Make the link part of your bookmarks! Stay up-to-date on happenings within the district and our school with special events and promotions.